My Quality Day: And the Winners Are! I'm really pleased that 30 people made the effort to vote for their favorite pictures of 2013. That's very gratifying, and I do thank you all. There were five clear winners, with the most votes. However, I think it's interesting that every single photo received at least one vote. 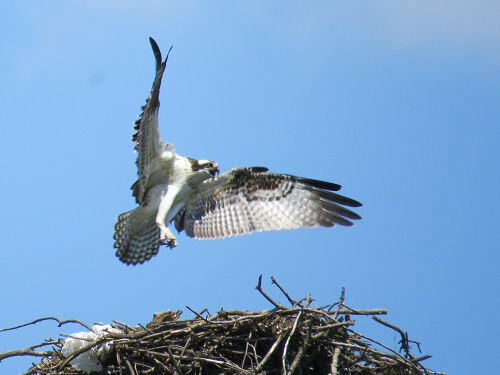 Number 1, with 16 votes, is Osprey Landing. I was on a commercial boat tour of Lake Arthur in Pennsylvania. We all saw the bird coming in to the nest and were snapping pictures like crazy. This is called, "I got lucky." 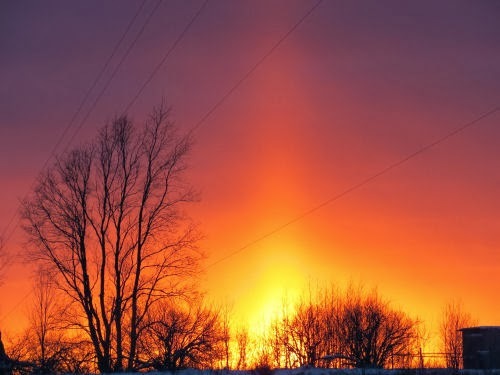 Number 2, with 12 votes, is Sun Pillar. I find it interesting that this picture ranked so high. True, it has great colors. And they really were that intense. But it's got stupid electric wires in it, and they carry the eye away from the focal point. This is the kind of picture anyone could take if they were willing to stop the car to do so. And thank you, Om, for being willing to stop and wait while I began yelling and racing across the road! 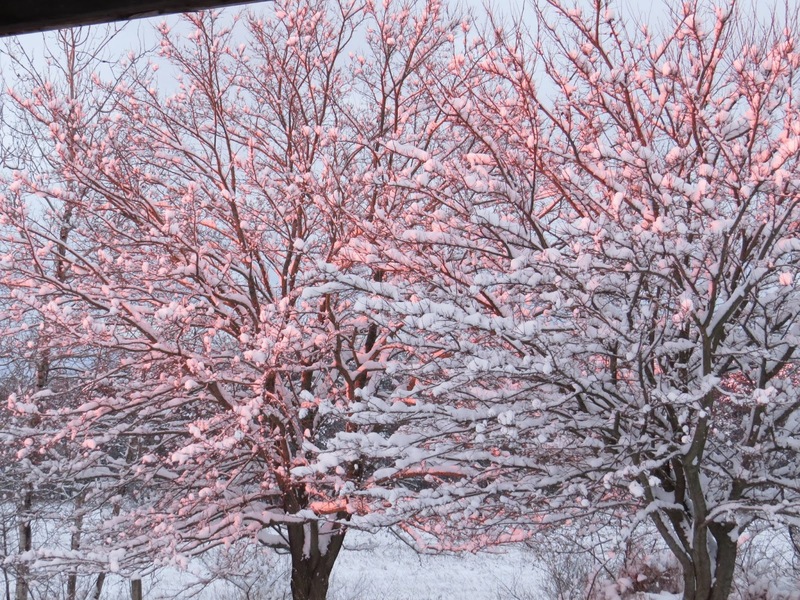 Number 3, with 11 votes, is Pink Trees. I will actually take a tiny bit of credit for this one. The sunrise was unusually red and I looked around the yard for things that were being targeted by the light. Of course, without the snow, it wouldn't be much of anything, so I guess I have to also credit winter. 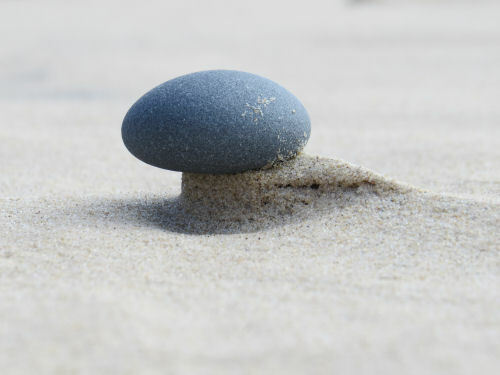 Number 4, with 10 votes, is Balanced Stone. Thank you, everyone who recognized this actually took an artistic eye. That stone is more like a pebble, maybe an inch across at most. There were all kinds of these little monuments on the beach that day, but I had to lie down on my belly, find one where the sand wasn't disturbed, and the shadow was right, and then get the camera to focus where I wanted it to. I'm happy with this one. 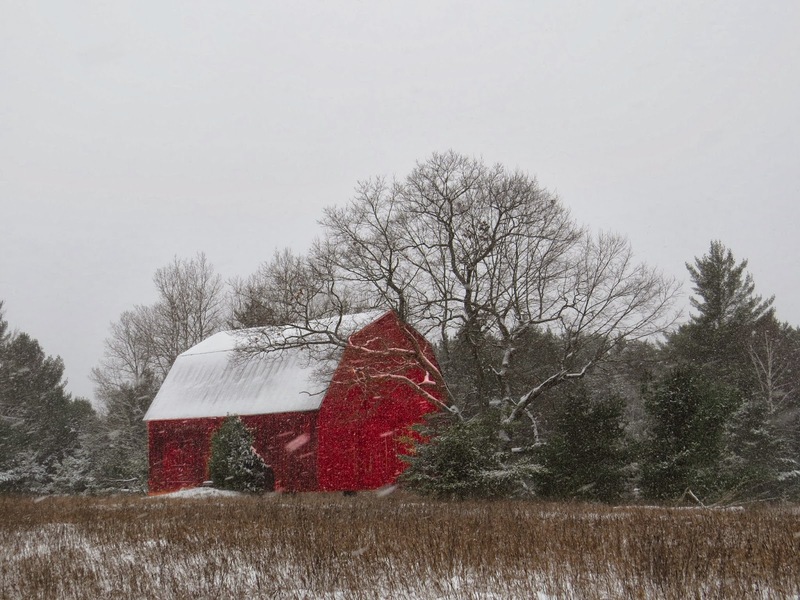 Finally, Number 5, with 7 votes, is Red Barn. Of the five pictures, this is the only one I manipulated at all. I did enhance the red color just a bit so that the picture looked as dramatic as what my eye saw. This was one of those drive-by shootings. I drove by, said "wow," and then turned around to go back and take the picture. Some of the good shots I am able to get are the result of that decision to go back and record it digitally when the light and conditions are right. This same barn is nice but rather ordinary most of the time. You have readers of discerning eye. The choices are excellent. I voted for three of them, so I'm pleased they won a placing. I enjoyed seeing a collection of your photos in one place, Shark. I think it speaks volumes of your talents in photography. Good eye! Those dogs are such great animals. All great shots! I think the Balanced Stone shows the essence of photography...perspective. hello sharkbytes its dennis the vizsla dog hay those ar all verry nice pikchers but the sun pillar is koolest on akkownt of i think it may be sum sort of beekun summoning aliens to pik up a stranded komrad perhaps!!! then agin that cud just be my imadjinayshun tawking!!! Hi Joan! I missed the voting but I think the balanced stone is my favorite. Great subject matter and artistic feeling. What wonderful pictures, Joan. Each is unique and special in its own way, I think.